Our dance classes & programs will get you groovin’, building confidence & working up a sweat. Joining Run The Flex means learning something NEW, becoming part of a SUPPORTIVE community & having FUN. When people ask us what we do for a living, it is often met with the response, “I wish I could dance!” We say, you can...when given the right tools. 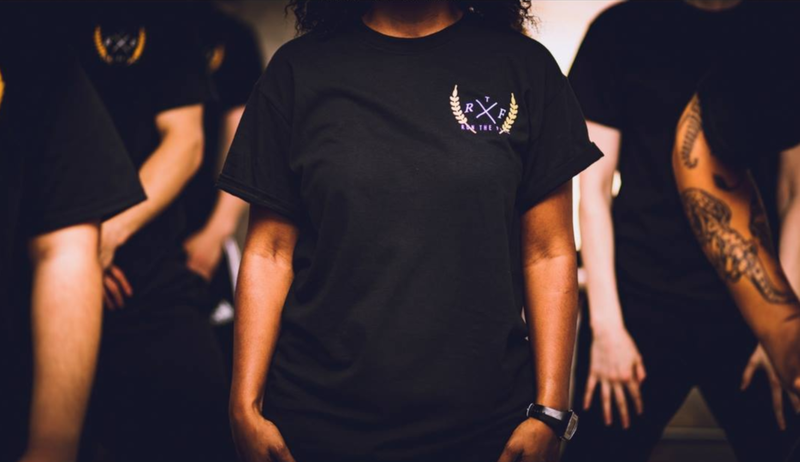 Run The Flex was born out of a gap we saw in the dance industry for adults wanting to not only learn how to dance, but to feel supported as they worked towards a larger goal. In 2017, we gained insight from the students in Aaron's weekly drop-in classes, that ultimately led him to restructure his teaching method. Aaron began to teach one routine and one song for a full month, and quickly found that his new class structure allowed his students to build on their knowledge. It didn’t take long to see the significant strides that they were making both on a skill level and performance level. Not only were they able to learn a full routine in a matter of weeks – a feat that they had once thought was reserved for professionals - they also started building friendships with other returning students and forming a sense of community. they could build on a single piece of choreography and get personalized feedback, all while gaining new skills and building confidence. We brought Run The Flex to life in March 2017. The 6-week beginner level program runs quarterly, with a maximum capacity of 25-students per session. This allows us to focus on the personal growth of each and every student we work with. We have also introduced an intermediate 3-month program that runs year round, for the students who are ready for a greater challenge. We pride ourselves on cultivating a safe and supportive environment that inevitably turns into the creation of new friendships as well as a strong sense of community. If there is anything we want you to take away from this it’s to know that you CAN dance. It's never too late to start. We'll show you how.